A Tesla Model S makes a practical cross-country vehicle when recharged at supercharger stations and once you get past the initial purchase price of the vehicle, it makes extremely affordable cross-country driving. Just imagine how long a gasoline-powered vehicle driver has to work to pay for those $30-$60 refueling stops! Obviously, the general strategy is to do as much charging as possible with the highest-rate charging device. As I proceed with the trip, we’ll refine the suggestions here. There’s a lot of misinformation out there regarding which electrical adapters will work for you on the road in the U.S. and in Canada. Here’s a summary that will be helpful. 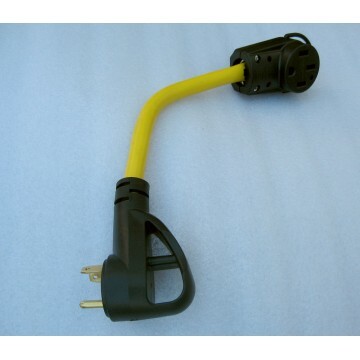 NEMA 14-50 adapter– This adapter works with 240 volt, 50 amp plugs. The nicer RV Parks (but not all!) 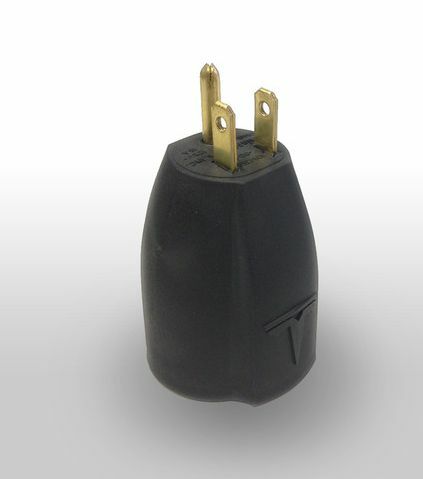 offer 50 amp plugs that this adapter will work with, as well. 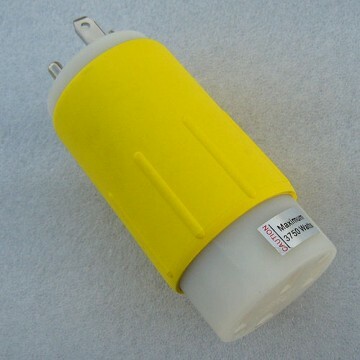 NEMA 14-50 plugs are sometimes used in houses for the oven plug (uses even more electricity than even a dryer). Expect about 29 miles per hour charge rate (sometimes not this good, though). NEMA 5-15 adapter– This adapter plugs into the standard wall plug in U.S. homes. It works at 110-120 volts and up to 15 amps, but the Tesla will draw a maximum of 12 amps through this plug. Expect about 3.25 miles per hour charge rate. While this adapter is mighty slow, it could save you from having to get your electric car towed some day. I spent 60 hours recharging my Tesla near Hyder, Alaska, using one of these adapters and a standard household type electrical plug. Please don’t make the mistake of believing that the NEMA 10-30 adapter offered by Tesla will suit your needs at U.S. RV parks, because it will not. 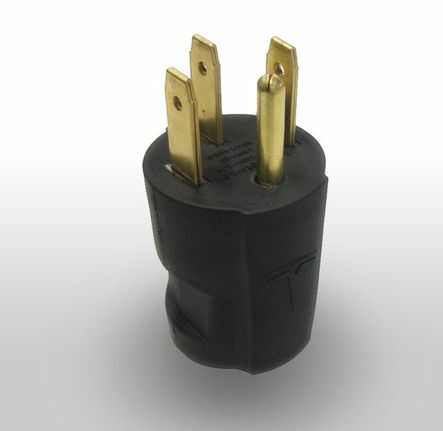 The NEMA 10-30 sold by Tesla is the type of clothes dryer plugs installed in U.S. homes until about 1996 and is incompatible with U.S. and Canadian RV Park plugs. Instead, you need an adapter that will take the 110 volt, 30 amp current from an RV Park and run it through your NEMA 14-50 adapter in order to get juice into your Tesla Model S.
This adapter plugs into an RV Park’s TT-30 plug and gives you roughly twice the charge per hour as a standard 5-15 adapter. Charging at 7 mph is painfully slow, but twice as fast as the alternative. This adapter was priced at $59. It would have cut my charging time at Stewart, Canada from 60 hours to 30 hours. 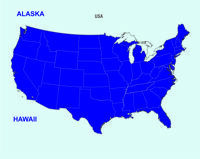 Finally, if you are traveling to Alaska or some far-away location and know you won’t have access to a 14-50 plug, you might bring along some type of adapter to use electricity from a 14-30 plug. Tesla used to sell 14-30 adapters but they don’t any more. These adapters work with the more recent style of clothes dryers. I talked a hotel owner into allowing me to use some electricity from his clothes dryer plug (I was naively hoping for a 14-50 plug), but I had no adapter to plug into the 14-30 plug he made available. Want the ultimate charging setup for off-the-network charging? 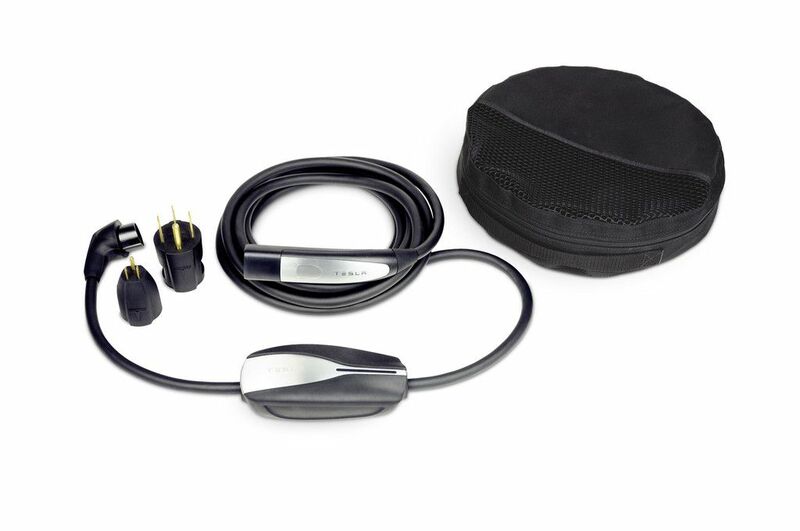 Some members of the teslamotors.com forum have purchased 25 foot extensions for their 14-50 adapters and then coupled with a 10-30, 14-30 or tt-30 adapter that plugs into the 14-50 adapter, they can recharge by parking up to 50 feet away from a dryer plug or RV Park plugin. Oh how I wish I could have read this section before I began my trip.